Are Your Kids Playing Spring Sports? Follow these tips to help prevent injuries on and off the field! As spring sports begin, there are many things parents can do to help their children prepare their bodies and to learn to protect themselves from sports related injuries before they happen. 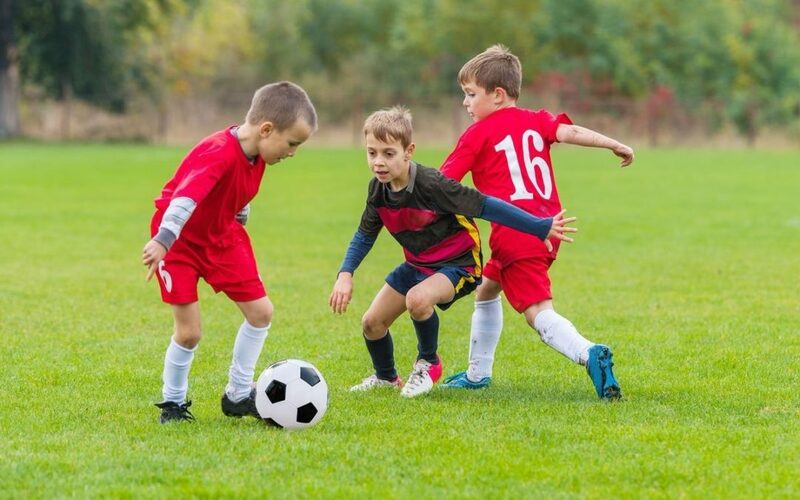 The following tips can help your children be successful by engaging in proper fitness, stretching, training and rest that the body needs for participating in sporting activities. · Wear the proper equipment. Make sure all equipment, including helmets, pads and shoes fit your child & are not damaged. · Eat healthy meals. Make sure your young athlete is eating a well-balanced diet and does not skip meals. Avoid high-fat foods, such as candy bars and fast food. At home, provide fruit rather than cookies, and vegetables rather than potato chips. · Maintain a healthy weight. Be sure your child does not feel pressured into being too thin and that he/she understands that proper nutrition and caloric intake is needed for optimal performance and endurance. · Drink water. Hydration is a key element to optimal fitness. Teenage athletes should drink at least eight 8-ounce glasses of water a day. Younger athletes should drink five to eight 8-ounce glasses of water. · Drink milk. Make sure your child has enough calcium included in his/her diet. For children over 2 years of age, ACA recommends 1 percent or skim milk rather than whole milk. Milk is essential for healthy bones and reduces the risk of joint and muscle related injuries. · Avoid sugar-loaded, caffeinated and carbonated drinks. Sports drinks are a good source of replenishment for those kids engaged in long duration sports, such as track and field. · Follow a warm-up routine. Be sure your child includes a warm-up and stretching session before every practice, game or meet. A slow jog, jumping rope and/or lifting small weights reduces the risk of torn or ripped muscles. Flexibility is key when pushing to score that extra goal or make that critical play. · Take vitamins daily. A multi-vitamin and Vitamin C are good choices for the young athlete. Vitamin B and amino acids may help reduce the pain from contact sports. Thiamine can help promote healing. Also consider Vitamin A to strengthen scar tissue. · Avoid trendy supplements. Kids under the age of 18 should avoid the use of performance-enhancing supplements, such as creatine. Instead, they should ask their coach or trainer to include weekly weight training and body-conditioning sessions in their workout. · Get plenty of rest. Eight hours of sleep is ideal for the young athlete. Lack of sleep and rest can decrease performance. For more information or if you’ve been injured playing a sport, Dr. Corey D. Bowden can offer relief and help your body heal itself. Contact Dr. Bowden at Advanced Spinal Rehabilitation today!